First of all, Wish you happy Krishna Janmashtami for all readers and friends. Writing a story on Lord Krishna god birthday is very good and nice. Lord Krishna was king of Mathura. Both Krishna and Jarasandha were always good enemies. Jarasandha was the father-in-law of Kamsa and Kamsa was the father-in-law of Krishna. In this way, both Jarasandha and Krishna got a connection as enemies. Brihadratha was the father of Jarasandha who was the king of Magadha. He has two wives. But he was childless. Brihadratha was a great king and well famed but he was so sad because he has no child. One day he treated one sage named Chandakaushika very well and Rishi gave him one mango fruit by knowing his sorrow for children. Brihadratha cut the mango into two equal pieces and offered it to his two wives because he has equal love on his both wives. Both wives gave birth to a two lifeless half child. By seeing this, the king was horrified and ordered to throw both lifeless children outside the kingdom. At that time was one man-eating demoness named Jara passing there and saw both lifeless children and wanted them to eat. So she put both lifeless half children side by side in the basket and carrying them. When both children got in contact with each other and formed one baby and he cried out loud. Jara did not want to kill the baby boy and she went to the king and gave him to the king and explained what happened. By hearing this king was very happy and gave the name as Jarasandha because he was turned to living baby by Jara. Jarasandha became a great and powerful king and he increased his kingdom so much. His friend Banasur suggested him to make marry off his two daughters Asti and Prapti with the king of Mathura, Kamsa. But Kamsa was killed by Lord Krishna due to his sinful acts and Ugrasena who was the grandfather of Krishna was later crowned as king of Mathura. 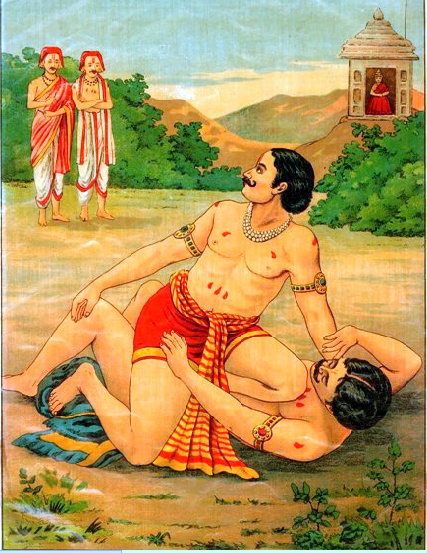 Due to the killing of Kamsa, Krishna became enemy for Jarasandha. Then Jarasandha wanted to take over the Mathura and attacked but he was defeated by Ugrasena with the help of his supporters like Krishna and Balarama and Vasudeva. Jarasandha attacked Mathura 18 times but failed. Due to this attacks, Krishna convinced his grandfather and shifted kingdom to Dwaraka. Jarsandha has captured so many kings and put them in captivity. To rescue kings, Lord Krishna came along with Arjuna and Bhima as Bramhins and challenged Jarasandha to fight with them. Jarasandha thought that they are not Brahmins because Bramhins have no that much power fight with him and asked them who they really. Then they showed their original identities and asked Jarasandha to choose one person from three of them to fight with him. Jarasandha did not want to fight with Krishna because he treated Krishna as a coward because he thought Krishna ran away from Mathura to Dwarak to hid from him. He did not want to fight with Arjuna because he was younger and not stronger as much as him. 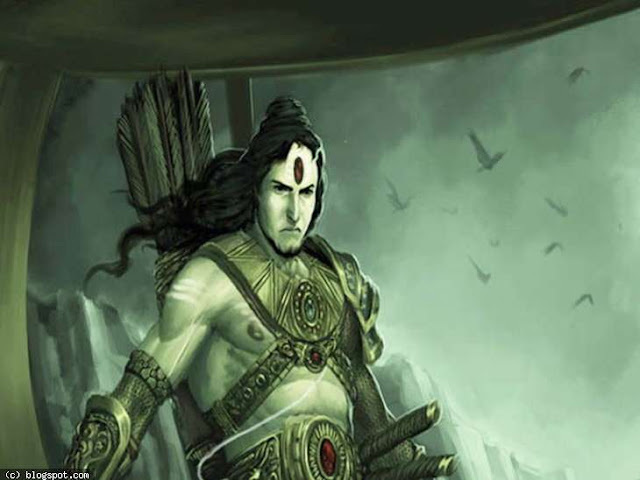 He has chosen Bhima to fight with who equally in strength with him. Bhima and Jarasandha fought for so many days but Bhima was not able to kill him because whenever he tore Jarasandha into two pieces but Jarasandha again came up alive with his two half bodies were making contact and became again single body. Then Lord Krishna took a leaf and tore it and threw two halves in opposite direction. By seeing Krishna's act, Bhima tore body into two halves and threw them in opposite direction in a way which was not able to make again contact between two bodies and Jarasandha has died. This is the tale of Lord Shri Krishna god and Jarasandha.